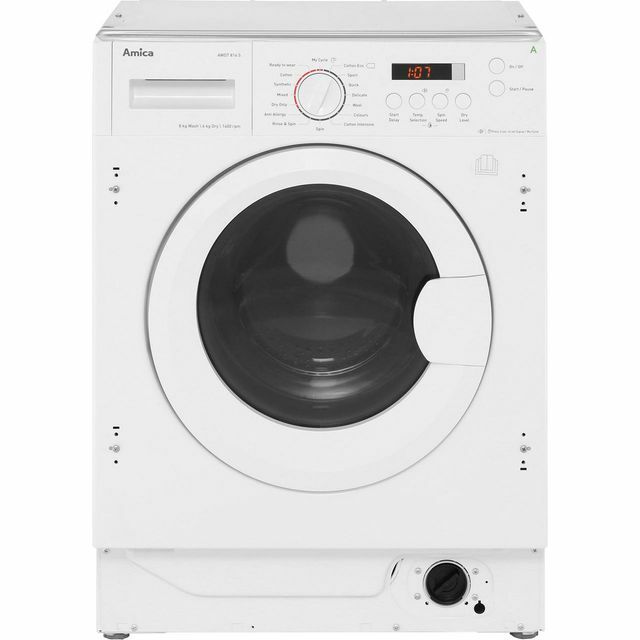 Leave all your laundry clean and dry with this fantastic integrated washer dryer from Amica. 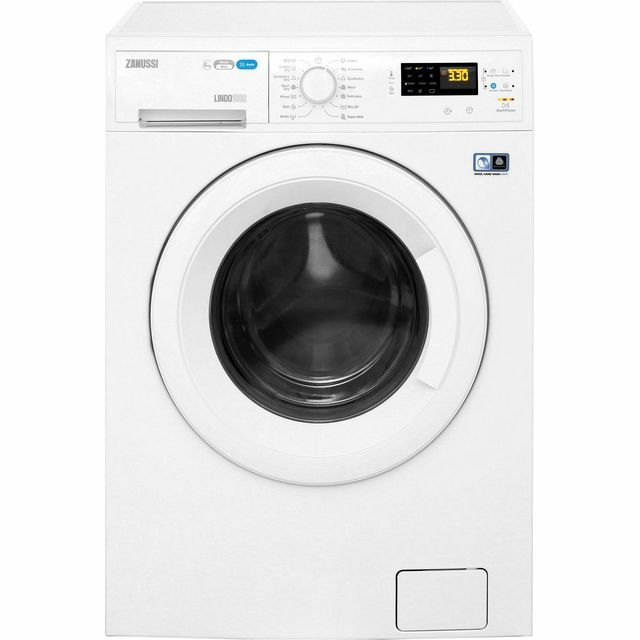 It has an 8kg drum capacity, so it’s a great choice for medium-sized households. If you need clean clothes in a hurry during the week, the speedy 15-minute quick wash is really useful. 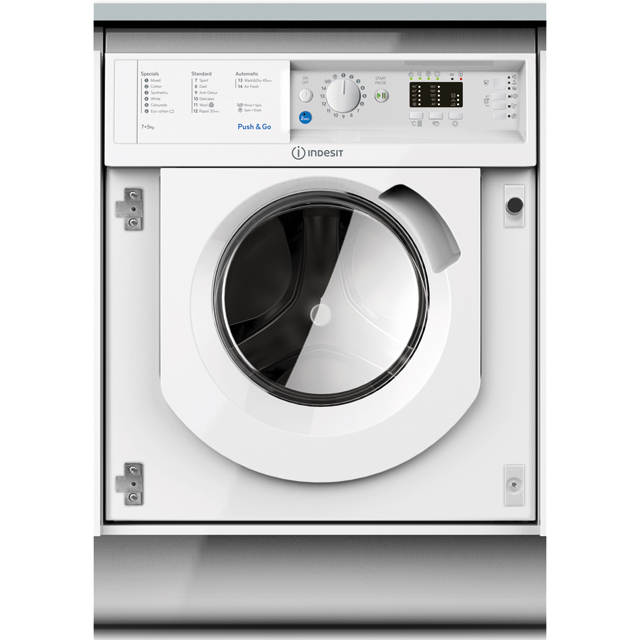 Another handy feature is the superb combined wash and dry programme, which leaves your clothes ready to wear in no time. 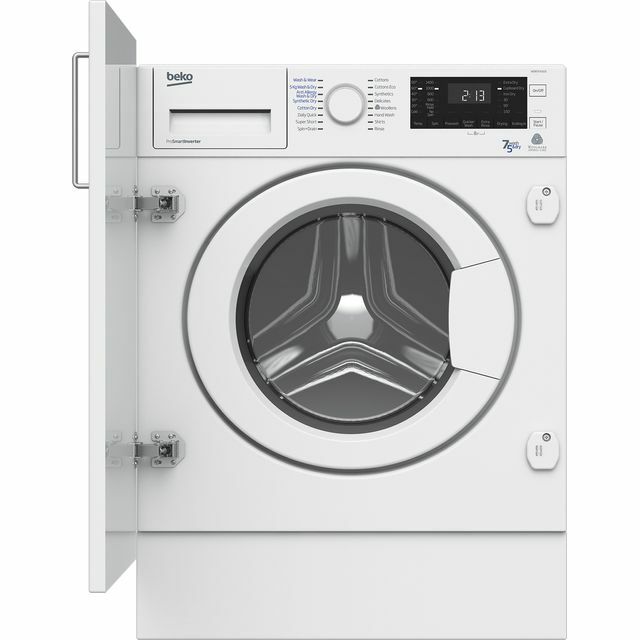 This model also has button and dial controls which make it really easy to use as well. Great service for AO. Excellent customer service, would highly recommend them. Product is great for washing and drying clothing. Only downside is there's only 3 options for drying and all take a while but it's what's expected from an integrated washer/dryer. Easy to change filter. Would recommend. Excellent service from AO. Really happy with the machine so far. Easy to install, quiet, efficient. Washing machine is fairly user friendly but don't rely on gaining any knowledge from the user guide, tiny diagrams which look like the printer has run out of ink are not help whatsoever. Manual also quite undescriptive of install and programs so you have to work most if it out for yourself. The biggest negative of the product is that the hinges provided for the door don't adjust meaning your decor ends and machine must be millimetre perfect and plumb, any tiny mistakes will show a mile away. 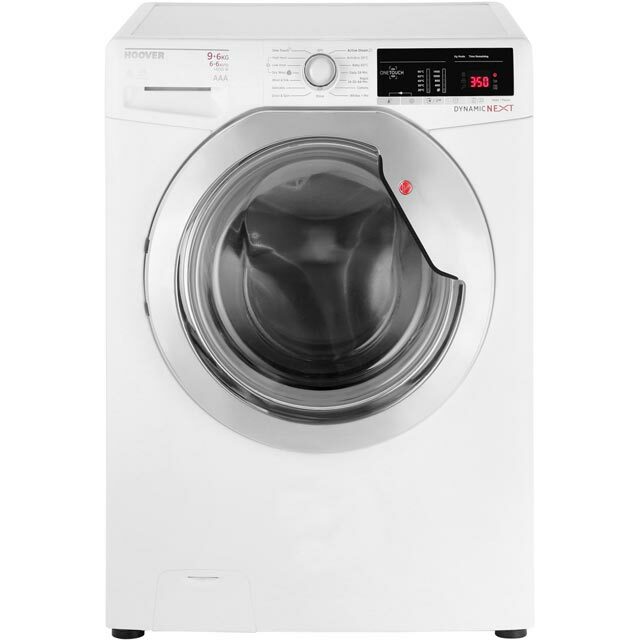 Great sized washer/dryer with a number of handy settings such as a quick 15 minute wash. The machine allows for a large load which is perfect for my needs. I was impressed with the wash quality but the drying time is long and I can not currently work out how to change the timings per wash. Overall, I am very impressed with the quality and ease of use of this machine.